Hear directly from families who have already made the move to Burlington. What were their concerns? Has anything surprised them about living here? And what are their favourite hangouts in Burlington now? Do you want to live by the lake? Is walking to shops and restaurants important to you? Or are you more concerned with having space for your children to play? Every Burlington neighbourhood has its perk. Are there really any bad schools in Burlington? We don't think so, but you can learn more here about each school, how it's ranked and where the "best schools" are located. Read this, and other articles about life in Burlington, the real estate market, and additional matters of interest to buyers considering a move to Burlington. If you’re thinking about selling, put your home in our hands. No one transforms a property better than we do. Your home will feel like it belongs in a magazine by the time we're done. Bradbury Estate Realty owns its own warehouse and offers all staging for FREE. Erin Hayes, Julie Belanger and Kim Moss are Your Burlington Neighbourhoods Team. 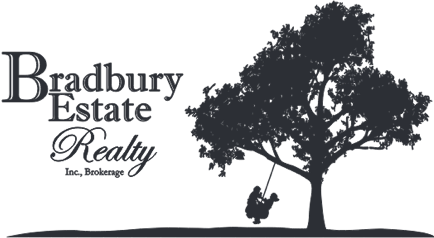 Let us help you Make Burlington Home.